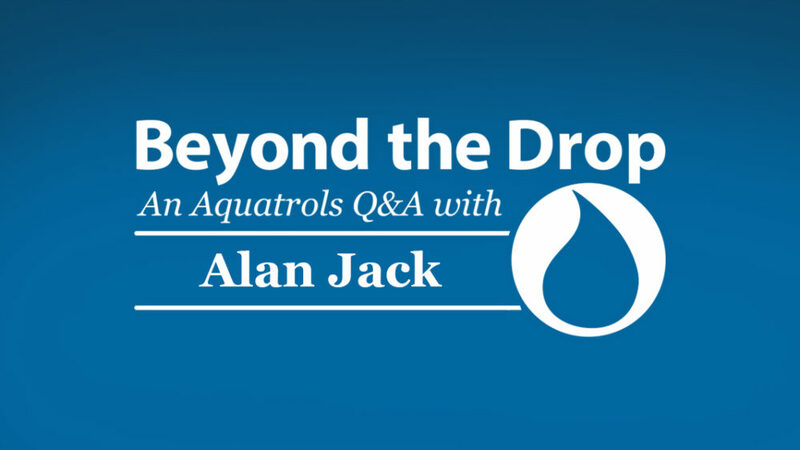 In our Beyond The Drop Q&A series, we bring you brief interviews with some of the minds driving growth and innovation at Aquatrols. We speak to a wide variety of folks who work here, exploring topics from research, conservation and business to field sales and back office. 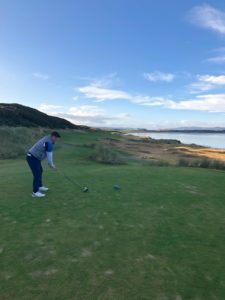 Today we are featuring an interview with Alan Jack, who joined us as an Account Manager in October 2018 taking over the Scotland territory. 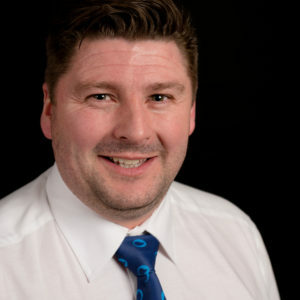 Alan has an established background in the golf and sports sector including greenkeeping experience and, more recently, Area Sales Manager for a Machinery dealer in the amenity market. 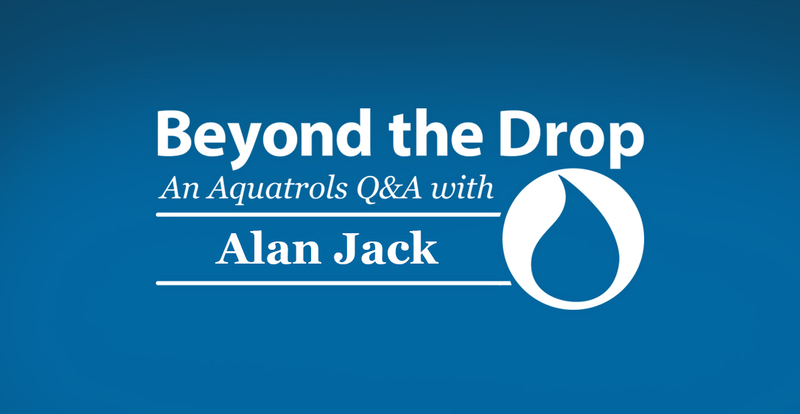 Here, he discusses what brought him to Aquatrols and how his passion for the industry has evolved. What was you first role within the turf industry and what was it that inspired you to take a job in this arena? I took on an apprentice Greenkeeper role at Cathcart Castle Golf Club in March 1997. Having left school with little qualifications I set about following my dream of becoming a professional footballer, but after 5 years I decided it was time for me to move on. Having no qualifications was tough and I had to make a career for myself as I am very ambitious. I noticed a job advert for the role at Cathcart Castle and my friend Brian Hillen, who was and still is the Course Manager at Drumpellier Golf Club, advised me about the opportunities that lay ahead in the greenkeeping industry and the number of different career paths that it could lead to. How have your previous jobs helped you in your current role as an Aquatrols Account Manager? The wealth of experience I have gained over 15 years ranging from Apprentice to Course Manager has stood me in good stead by giving me a sound level of agronomy and practical greenkeeping experience. My role as Area Sales Manager has helped me from customer service and relationship building perspective, along with networking opportunities as I believe that all three are vital within a service industry when dealing with people. What was it that attracted you to become part of the Aquatrols team and what is it about your job that you most enjoy? WHY NOT?! What a fantastic opportunity to work with a brand which is known globally within the golf industry. I love chatting through problems and issues that are presented to Course Managers on a daily basis and discussing various options on how to help their situation and in turn help them in their role as a Course Manager. Another part of my job is the fact that not one site is the same and that each site faces its own different challenges from soil types or environmental impacts to climate and weather. Having various products and prescribing the right product to suit the needs of my customers really is rewarding, especially when you see the results come to fruition. What is the biggest challenge to the customer in Scotland? What’s the main problem that you help them to solve? Apart from golfer’s expectation levels, the weather is the biggest challenge in my opinion. With the climate being so inconsistent and the levels of rainfall increasing, it is essential to have a detailed water management program. This will not only help during dry conditions but also during the wetter times of the year. Having products that help course managers stay in more control of moisture is essential nowadays as this gives the course manager the ability to dry out the surfaces or re-wet when required which I believe is a huge game changer in turf industry today. There’s a lot that goes on behind the scenes in your position. What are some things that most customers don’t realise you can help them with or do for them? One of the best ways in which I can assist customers is by imparting knowledge from one course to the next. Visiting so many courses enables me to help course managers share best practices and offer solutions based on the positive results that other customers have seen from using Aquatrols products. For example, Simon Freeman at Machrihanish Dunes is a true Aquatrols user; he trusts the products and following some issues with trying to keep his profile moisture consistent, he decided to mix Aqueduct and Primer Select to push the moisture deeper in to his rootzone. He’s seen great results and this practical positive can be shared with other course managers in the area to help them overcome similar problems. What is the one thing about the Aquatrols brand and products that you always want new or potential customers to know? Aquatrols is proud of it’s heritage, I like to share the story of where we began in that Bob Moore created surfactants and from there on we have become the market leader for surfactants with a wide range of products to fulfil customers needs. And finally, where can you be found when you’re not working? My son plays football so I am often sitting in a stand watching him play or spending time with family during my spare time.